Increasing Aug 7th Primary turnout is our objective! *Yes, the date is upside-down and backwards. Just another example of turning the table. You can use these tools to gain additional exposure for the campaign. 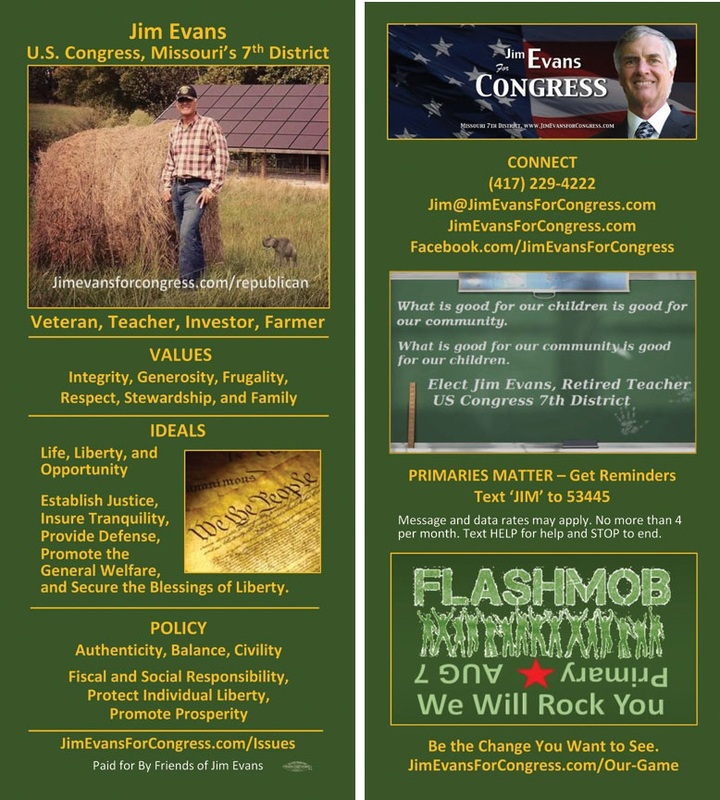 Our "RACK-CARDS" are used to introduce Jim and his campaign at parties, fairs, and events. They are also handy to leave when going door to door. Contact the campaign if you need some.